When it comes to skincare, I have cared about what my skin will look like as I get older since I was a teen. In my early twenties I started using creams and moisturizers on my face, especially around my eyes in hopes to delay those unwanted fine lines and wrinkles. In my thirties I started using anti-aging products because I want to look as young as I can. Once I turned 40 a couple years ago, my skincare regimen has been on the top of my priorities. One of my favorite ways for healthy and glowing skin is supplements! They are easy to take and they can honestly work wonders for your skin. 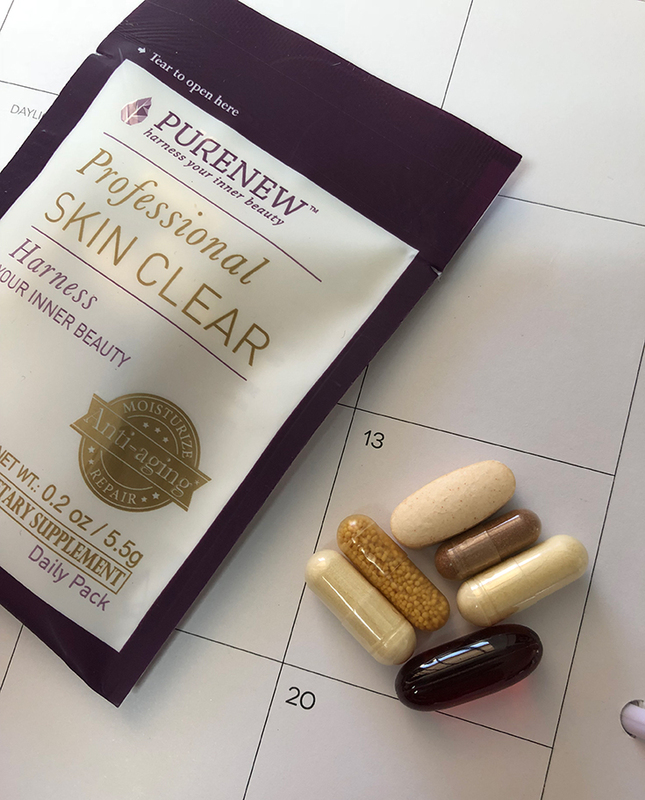 I have been taking the PURENEW Professional Skin Clear dietary supplement that has been designed to nourish the cells, increase physiological function and enhance the physique. This is an easy supplement that you can take daily that consists of 6 pills that contain premium ingredients sourced from nature and are backed by clinical studies. If you wear makeup you will want to make sure that you clean your makeup brushes regularly! Many choose to never wash their makeup brushes or sponges which is something you don’t want to do. 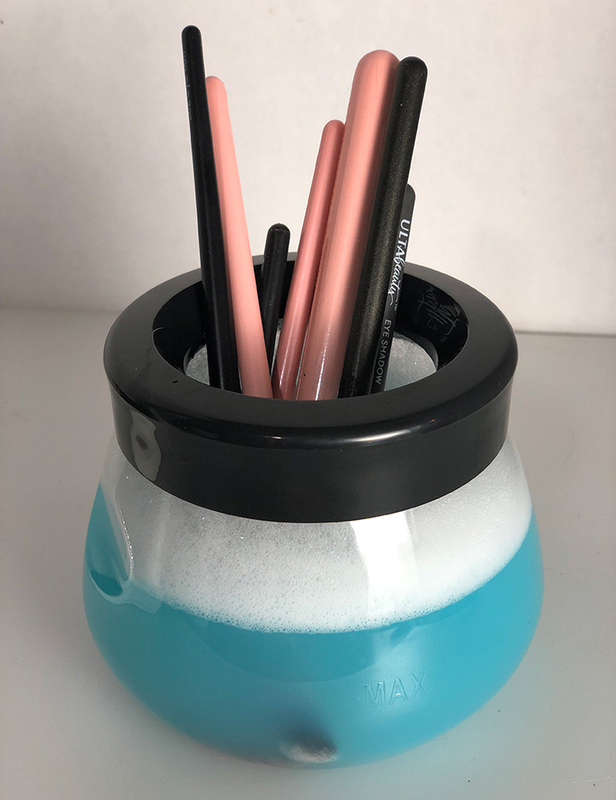 Cleaning your brushes is easy and you can even make your own DIY brush cleaner with supplies you probably already have in your home. The next thing I recommend is using sunscreen daily! Adding sunscreen to your daily beauty regimen is one of the single easiest ways to prolong healthy, glowing skin and look younger for life. 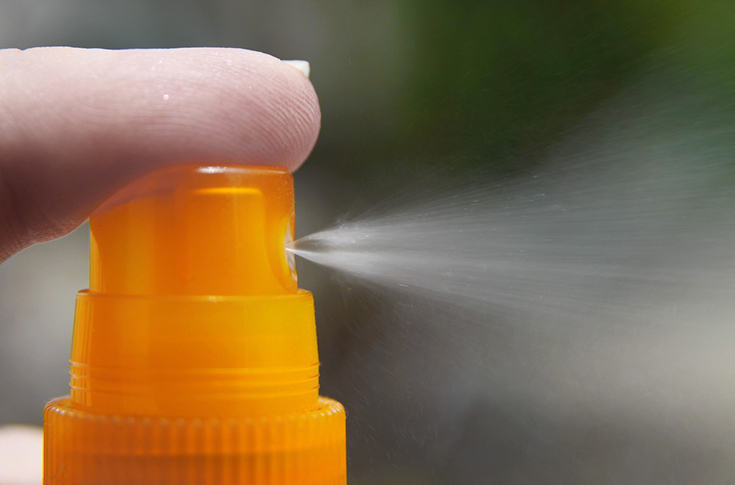 I remember my mom telling me to wear sunscreen and it is something I have always insisted on putting on my children and myself over the years when we spend time outdoors even when it is cold because not only does the sun effect your skin in the summer, it also reflects up to 80 percent of ultraviolet (UV) rays when you are playing in the snow! 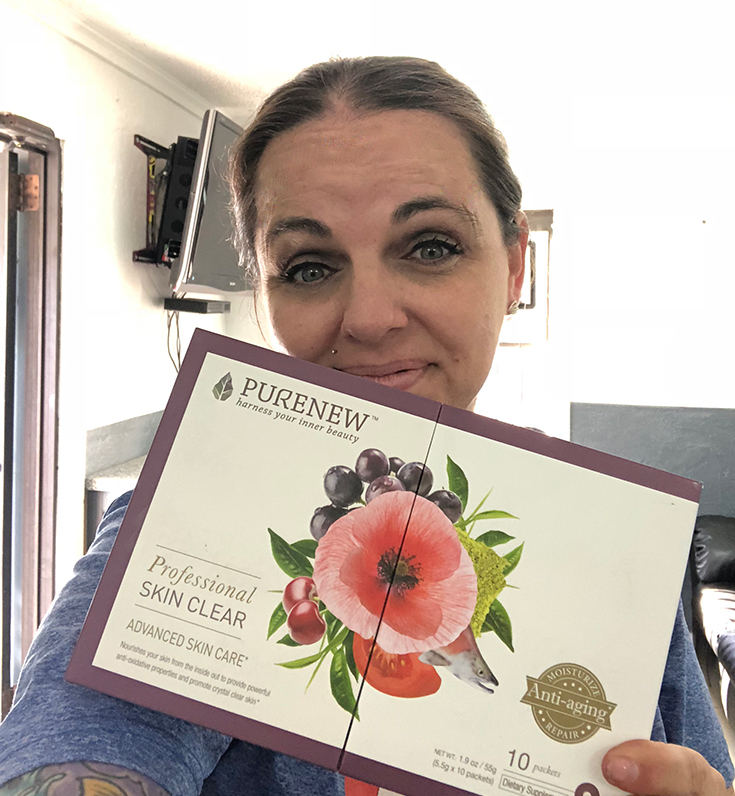 I LOVE using the PURENEW Professional Skin Care supplements to help harness my inner beauty! Every day I have to use moisturizer on my face before I apply my makeup because my skin seems to always be dry in the morning. I have noticed by just taking the PURENEW supplement for just a couple days my skin already started feeling more moisturized! The PURENEW products are available in two different products to address specific age-related issues. 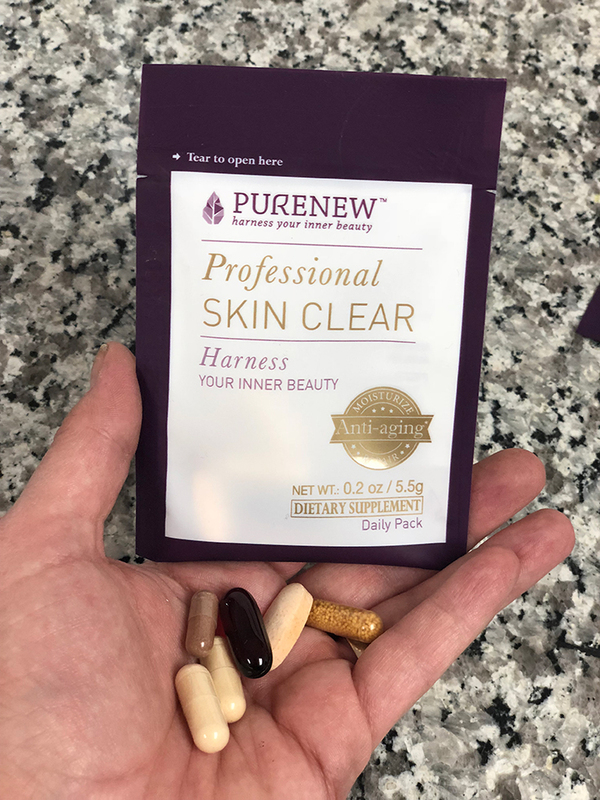 For those in their 20s and 30s, the PURENEW Essential Clear might be something you want to try! To learn more about the PURENEW products visit: http://www.purenew.com.